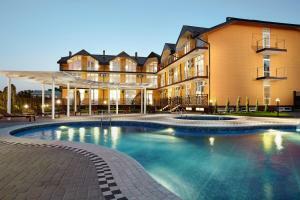 A-HOTEL.com - Luxury and cheap accommodation in Kommuna Iskra, Russia. 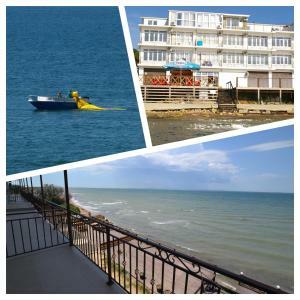 Prices and hotel, apartment booking in Kommuna Iskra and surrounding. Zolotoy Fazan is located in Kuchugury. Among the various facilities are a seasonal outdoor swimming pool and a bar. Guest house Lainier is set in Kuchugury and features barbecue facilities and a terrace. All rooms feature a kitchen and a private bathroom. Featuring a terrace, Guest House Yuzhny is situated in Kuchugury. All rooms boast a kitchenette and a private bathroom. Located in Kuchugury, Минигостиница пос.Кучугуры has a terrace and bar. Mindal`niy Dom is offering accommodation in Kuchugury. Featuring a shared kitchen, this property also provides guests with a terrace. House Tishina is set in Kuchugury and offers a garden and a terrace. The property features garden views and is 42 km from Taman. Guest House Atlantida is situated in Kuchugury and features a garden and a terrace. All rooms boast a flat-screen TV with cable channels and a private bathroom. Offering views of the garden, Aura Guest House is situated in Kuchugury, a walking distance from the beach. Free private parking is featured. Korall Guest House in Kuchugury has barbecue facilities and a garden. Featuring a 24-hour front desk, this property also provides guests with a children's playground. Guest House Golubaya Buhta is offering accommodation in Kuchugury. The property has a bar, as well as a restaurant serving Italian cuisine. Situated in Kuchugury, SOLNTSE Guesthouse provides free WiFi. 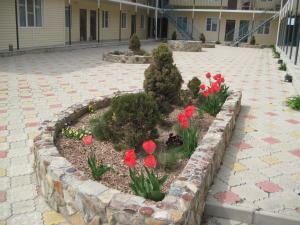 Among the various facilities are a garden and a terrace.